High competition among companies providing access to global financial markets forces them to look for non-standard solutions to attract new traders. 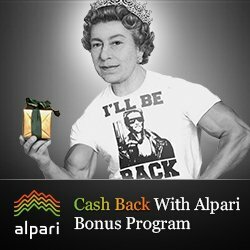 Every year it becomes more difficult to do it: if 10-15 years ago it was possible to offer more interesting conditions for an affiliate program or increase the number of available assets, today, the broker should come up with something extraordinary to significantly increase the number of its clients. The creators of the World Forex trading platform understood this very well back in 2007. This statement confirms the history of the development of the site (the project creators felt well and always responded quickly to any changes in the global financial market over the course of 10 years). But when a novice trader decides to conduct a detailed review of World Forex, using information from the world wide web, he will definitely find negative reviews and comments about this trading platform. And if their more experienced colleagues are well aware that they should not be 100% trusted by such “expert conclusions”, then a newcomer may be hesitant whether to register an account on this site? For an objective answer to this question, it is best to independently explore the strengths and weaknesses of this trading platform. What does World Forex offer to its customers? 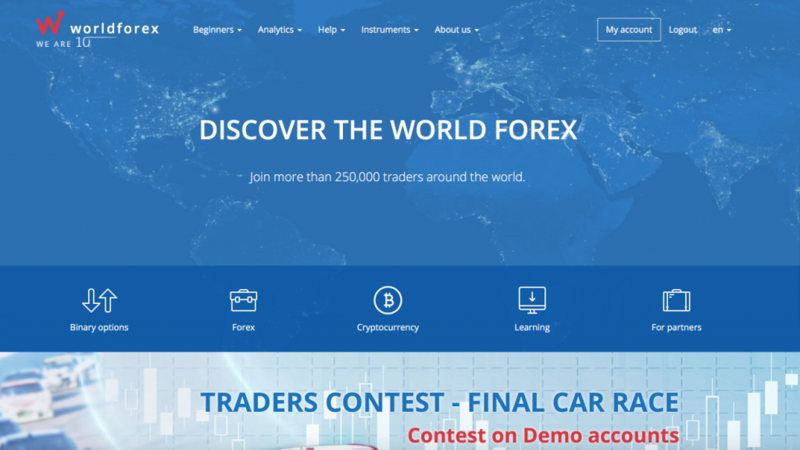 The creator of the World Forex web resource is the financial company Existrade Ltd, which launched the presented project in 2007. This trading platform, like many of its competitors, is registered in the British Virgin Islands. To conduct operations in the global financial market, World Forex application was created, which, in combination with other software (MT 4, WebTrader, WFT Mobile, etc. ), guarantees the comfort of a trader, no matter which device he uses for online trading . The presence of documents permitting the provision of financial broker services, issued by a public institution, significantly increases the company’s rating and level of confidence in it. The broker in question was licensed (and regulated) by the Vanuatu Financial Services Authority (VFSC). The organization monitors compliance with international financial legislation and carefully monitors the activities of its brokers. For many traders, the decent life of the trading platform (over 10 years) and the presence of the above license are quite convincing arguments to register a login on World Forex without fear that the broker in question will be deceived by them. ● What is Forex and Binary Options. ● Glossary and knowledge base. ● How is online trading. ● How the work on the site begins. ● What mistakes do traders make? For experienced users, the site administration prepares analytical information (news and market reviews, calendar of events, expert recommendations, etc. ), which helps them to make the forecasts necessary for successful trading. One of the main positive parameters of this broker is the availability of a demo account on World Forex, which allows trading with the use of virtual currency. Working in real market conditions, a novice trader will be able to practically learn all the nuances of trading without spending a penny of his own money for this. In addition to the above mentioned, modern equipment and software, the administration of the presented web resource uses other ways to ensure the safety of users. The money (deposit) of the broker’s clients is kept in separate accounts in reliable financial and credit institutions. In order to avoid trouble associated with the emergency outage of electricity or unstable operation of the provider, the site administration suggests using a VPS (virtual dedicated service). In case of any other technical and financial problems, the user can contact the round-the-clock support service (it works 5 days a week). To do this, provide: feedback form on the broker’s website, e-mail and telephone. Of particular interest is the latter type of accounts. It is designed for financial transactions that exclude the conflict of interest of the broker and traders. Also on this platform provides a function that allows you to copy the transactions of the most successful traders. This makes it possible to significantly increase your chances of conducting successful transactions. ● The minimum deposit amount is $ 1. ● The minimum transaction size is 0.01. ● Maximum contract – $ 10-300. ● Currency accounts – euro, hryvnia (UAH), ruble and the US dollar. ● Contests and bonuses – there is. ● Bank cards (Visa or MasterCard). Studying reviews about World Forex, we can conclude that for the conclusion of transactions, the project organizers provided not only binary options, currency pairs and CFD contracts. Broker clients can also work with precious metals, raw materials, indices, stocks and cryptocurrencies. Based on the above information, we can conclude that World Forex is a decent broker who does not violate international financial law and does not participate in questionable transactions. The creators of the platform have managed to make a fairly simple web resource that can satisfy even the most demanding traders. In order to personally verify this, you can register a login and work on the site using a free demo account.